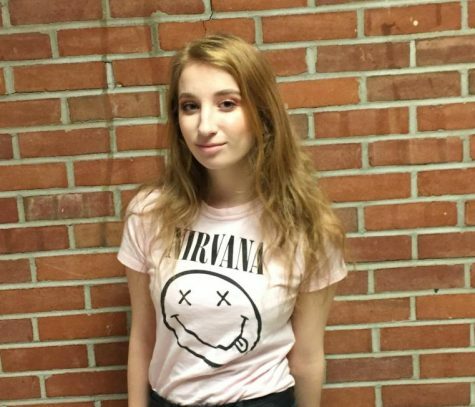 Mina Viviano is a junior attending Utica high school. What she does in her spare time is work at McDonald and go to school. When she is not working she is with her friends having a fun time. She likes to paint and draw. She likes to ware fun socks and band tee shirts. She loves to listen to rock and go to concerts. Also she has brown hair, shes not a strawberry-blond.